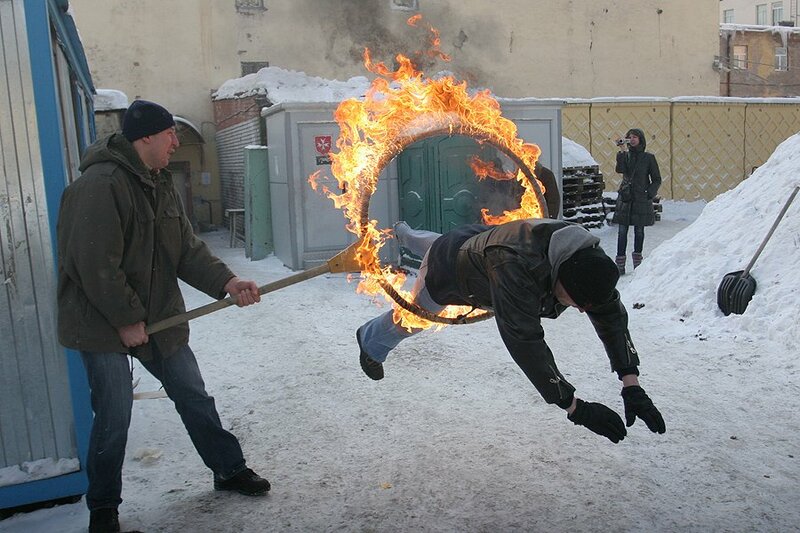 On 23 February 2011, Arkady Tyurin, the editor and director of the street paper Put Domoi (Russia) jumped through a flaming hoop to raise money to pay for medical treatment for Anatoly Baranov, a disabled vendor. View the amazing video here. In 2007 Arkady did a similar stunt to raise money to buy a hearing aid for Put Domoi vendor Nina Stepanovna Maurina. Watch the video here.